ROSSTON – Jason Arrington has been named the new K-12 principal for the Nevada School District. This was done in a special called meeting of the Nevada School Board. The need arose when Michael Odom accepted a job as principal at Arkansas High School in Texarkana. An interview team talked about what the district needed in a principal and began conducting interviews accordingly. In the end, the committee decided Arrington was a good fit for the district. Arrington told the committee and board he appreciated the confidence he’s being shown, saying he’s invested in the community and will work to help students succeed. He earned his bachelor of science degree from Southern Arkansas University in 1993, and his master of business administration from the University of Arkansas at Little Rock in 2001. He obtained his master of arts in teaching from SAU in 2011. 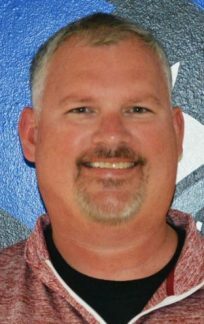 Arrington was dean of Students at Smackover High School, taught business, education and technology at SHS and was the dean of College and Career Readiness at SHS. He also taught at Strong High School.